American actress Hilary Duff came to fame through the Disney Channel Series, Lizzie McGuire. She then became widely popular to the teens, starring in popular film franchises like The Lizzie McGuire Movie and A Cinderella Story. She also became well-known as a singer and an entrepreneur, releasing a number of albums, including her album, Metamorphosis, and starting her own clothing lines, Femme for DKNY Jeans and Stuff by Hilary Duff. Born in Houston, Texas, Lizzie is the daughter of Robert Erhard Duff, who is a partner in a chain of convenience stores, and Susan Colleen, a housewife turned music and film producer. She has an older sister named Haylie Duff. Inspired by their mother, Hilary and her sister attended acting, singing, and ballet classes at a young age. The sisters then landed roles in local theater productions and later joined in an on-the-road BalletMet production of The Nutcracker in San Antonio. As the siblings’ interest in the entertainment business grew, they moved to California with their mother in 1993. They auditioned for various projects and were cast in plenty television commercials. They also modeled for some clothing brands. Hilary stated, “My sister and I really showed an interest in performing and dedication, and our mother was like ‘How can I tell my kids no?’ It’s the same as kids that are going into sports. Parents support them and push them”. Since Hilary was so focused on her acting career, she started home-schooling at the age of eight. At that time, she played minor roles in TV and movie productions, including her minor part in the mini-series True Women and as an un-credited extra in Playing by Heart. 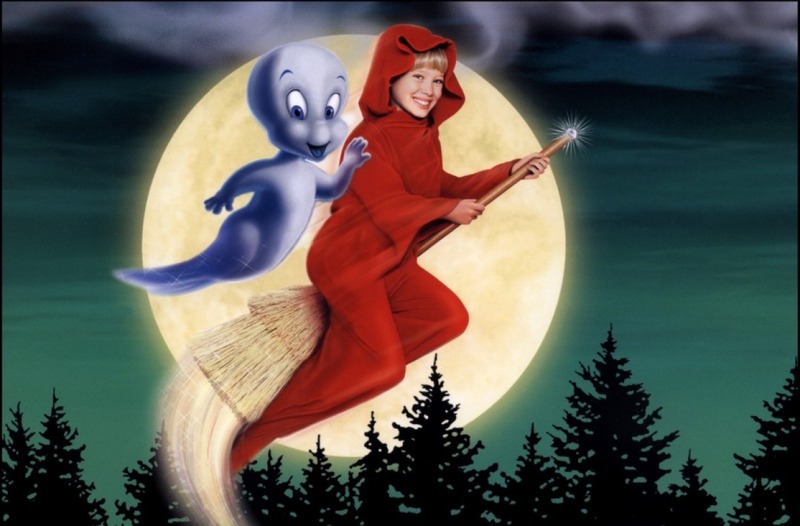 At that same age, she landed her first major film role in Casper Meets Wendy. She then began making appearances in television, starting with the role of Ellie in the 1999 film for TV, The Soul Collector. For her performance, she received a Young Artist Award for Best Performance in a TV Movie or Pilot. In 2000, she played a sick child in CBS’ medical drama series, Chicago Hope. And then, she was cast as one of the kids in the pilot episode of NBC’s Daddio. Her co-star Michael Chiklis, remembered her stating, “After working with her the first day, I remember saying to my wife, ‘This young girl is gonna be a movie star’ She was completely at ease with herself and comfortable in her own skin”. Prior to the airing of the show, she was removed from the cast. But, better opportunities came knocking at her door. She was immediately cast in the title role of Disney Channel’s newly developed series, Lizzie McGuire. When Lizzie McGuire aired on January 12, 2001, it became an instant hit, with an estimated 2.3 million viewers per episode. As a result, Hilary quickly became known as a teen idol and a household name and Disney started marketing the series through books, toys, dolls, video games, and soundtracks, all of which were based on her character. From the show’s merchandise alone, the company earned an estimated $100 million. Also in 2001, the young actress was in a relationship with teen star Aaron Carter, who later guest-starred in an episode of the series with her. Their relationship became the center of the media’s attention and there were rumors that a love triangle was happening between Duff, Carter, and Lindsay Lohan. The couple went on with their on-and-off relationship for three years, before they finally decided to end their relationship for good. In 2002, Hilary made her feature film debut with the film Human Nature, where she played the younger version of Patricia Arquette’s character. Also, she starred in another Disney Channel television film, Cadet Kelly, which became the network’s most-watched program in its 19 years in business. Duff started recording a number of soundtracks for Disney Channel, including a cover of Brook McClymont’s track, I Can’t Wait, for Lizzie McGuire and The Tiki Tiki Tiki Room for DisneyMania. After this, she began expressing her interest in music. In October 2002, Santa Clause Lane was released, which landed a lower spot on Billboard 200 chart. Originally, it was distributed under Walt Disney Records, but Buena Vista later re-released the album. Eventually, the album received a Gold certification from the Recording Industry Association of America, for selling more than 500,000 copies. Even though it was only released in North America, it was re-released in the next years. Duff then signed a recording under Hollywood Records. In 2003, she landed a co-starring in the comedy film Agent Cody Banks. The same year, she reprised her role as Lizzie McGuire in The Lizzie McGuire Movie. For the film’s finale, she recorded the original song, What Dreams Are Made Of. The following year, she released her second studio album, entitled Metamorphosis. It received mixed reviews from music critics. But still, it went on to the top of the Billboard 200 chart. It was a major hit for her, selling more than five million copies in a span of two years. On February 14, 2004, her 65-episode contract for Lizzie McGuire ended. There were reports then that the series was in talks for a television spin-off and a second film. However, the plans failed as her salary for the proposal was not enough. Later that year, she starred in a romantic comedy film entitled, A Cinderella Story. Although it did well in the box office, it received negative reviews from critics. In September of that year as well, she released her self-titled third studio album. It featured rock elements, which was later compared to the works of Ashley Simpson and Avril Lavigne. Still, it did well on the charts, landing on the number two spot on Billboard 200. In 2005, she had a starring role in the movie The Perfect Man and released her first ever compilation album called, Most Wanted. It featured remixes and songs from her past albums. The next year, she co-starred with her sister in the comedy film Material Girls, which earned them both a Razzie Award nomination for Worst Actress and Worst Screen Couple. Duff had a lot of drama in her personal life. Aside from breaking with her then boyfriend Joel Madden and her parent’s divorce, she had two stalkers, one of them was identified as Max, an 18-year-old Russian immigrant, who threatened to kill himself to get her attention, and the other one is David Joseph Klein, Max’s roommate. Despite everything that happened, she was able to co-write thirteen of the fourteen songs on her fourth album, Dignity. Upon release in 2007, it received critical acclaim even if the critics were pointing out her weak vocals. To celebrate her return in the music industry, a television special was created, entitled Hilary Duff: This is Now. It was a two-part project, which was aired on MTV. After the release of Dignity, she started adapting to more mature roles, starring in two 2009 films – According to Greta and Stay Cool. She then starred with Val Kilmer and Kris Kristofferson in the 2010 film Bloodworth. While taking on serious roles in films, she also continued making appearances on the small screen. She played Lane Daniels in the TV movie Beauty & the Briefcase and guest-starred on a number of series, including Community, Gossip Girl, Two and a Half Men, and Raising Hope. In February 2010, Duff and her boyfriend Mike Comrie announced their engagement. They got married on August 14, 2010. Also in 2010, she signed a book-writing deal with Simon & Schuster. She collaborated with Elise Allen in writing her first young adult novel entitled, Elixir. When it was released, it became a New York Times best-seller. In 2013, Duff released the third and final novel in her trilogy, which was called True. It was also announced then that she will co-star in the comedy-drama TV series, Younger, based on Pamela Redmond Satran’s novel. Last year, it was revealed that the pilot will premiere in the fall, but it was later moved to 2015. The show will mark her first starring role in a TV series, after her appearance in the movie Lizzie McGuire. Even if Lizzie McGuire is in talks for a movie spin-off, Disney and Duff decided to part ways in 2015. According to Los Angeles Times, the company was thinking of transitioning Lizzie McGuire from an awkward junior high school student to a blossoming student. Disney offered to raise the actress’ per episode salary from $15,000 to $35,000. But, the star’s family asked for more. Also, the studio offered her to work on The Lizzie McGuire movie’s sequel with a contract worth $4 million, a percentage of the profit, and a $500,000 bonus if the film makes more than $50 million. But, it seems like both sides are blaming each other for the split. Disney Studios production chief Nina Jacobson explained to the publication, “We very much wanted to continue the Lizzie franchise. But every deal has its tipping point, the point at which it no longer makes no sense. Unfortunately, that’s the point we reached in the Lizzie negotiations, and we ultimately had to say goodbye”. Duff’s lawyer also defended their side, saying, “Disney’s strong-armed tactics and failure to pay our client a fee commensurate with offers received from other studios and networks caused the breakdown of negotiation with the Duffs. While the Lizzie McGuire franchise may be over for Disney, Hilary Duff’s career is flourishing”. Duff hid behind the role Lizzie McGuire for many years. But, she cannot deny the fact that the role and Disney helped her become the actress she is today. Now, let’s just wait and see whether she could escape from the shadows of the high-schooler Lizzie as she continues to take on more mature and serious roles for her career.